Phone Currys PC World by calling their customer care contact number 0344 561 1234 for troubleshooting assistance with a technical fault with your new laptop, television screen or digital camera. Their trained team of Knowhow advisors will recommend a solution, however if it is not possible to fix the issue over the phone they will inform you how to get it repaired at your nearest outlet. Alternatively if your refrigerator, washing machine or dishwasher is not working they will arrange for an engineer to visit your property to assess the problem. You may be able to get these repairs for free along with any required replacement devices if you have a Care Plan extended warranty policy, therefore you can call this helpline to get a quote for a policy if your current cover is due to expire. Lines are open 8am-8pm Monday-Friday, 8am-6pm Saturday and 9am-6pm Sunday although these opening times are likely to be reduced on UK bank holidays. 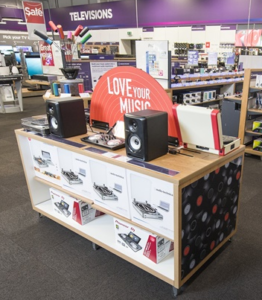 Calls to the Currys PC World customer service phone number 0344 561 1234 are charged at the same rates as phoning local numbers which start with 01 and 02 area codes, therefore if you get inclusive minutes you can phone the electronics retailer for free. Phone the Currys PC World hotline number 0344 561 0000 to contact a sales advisor about their latest laptops, all-in-one PCs and television sets. If you are interested in amateur photography you can call this helpline to get their price promotions on digital cameras, similarly if you are a professional you can request a catalogue so that you can browse the latest DSLR models at your leisure. Moreover if you are purchasing new kitchen appliances you can dial this number to confirm the price and size of appliances such as fridges, washing machines, dishwashers as well as smaller electronic goods such as blenders. If you have already placed an order with Currys PC World you can dial this number to track your delivery and to reschedule if the date is not convenient. Finally if you can no longer afford your purchase you should dial this number to cancel your order, however this is at their discretion. Currys PC World have a range of postal and email addresses which you may use to contact their customer service department in writing. Furthermore they offer several social media accounts where you can make general enquiries about their range of electronic goods. You may write to Currys PC World customer services by sending your letters to their Sheffield office below, however be aware that they may take up to 48 hours to reply to your correspondence and even longer if you affix second-class postage stamps. 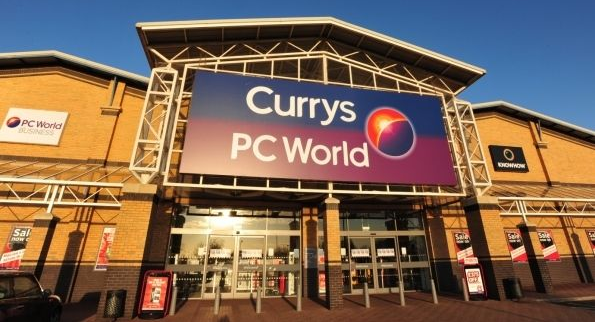 Customers have a choice of two email addresses which they can use to send internet messages to Currys PC World: customer.services@currys.co.uk and customer.services@pcworld.co.uk. As the company was formed as a merger between these two companies you may use either address if you are unsure of which specific department to contact. Tech savvy customers can contact Currys PC World via their various social media profiles. Here you will also be able to find their promotional sales deals on electronics as well as latest releases from a variety of tech companies.